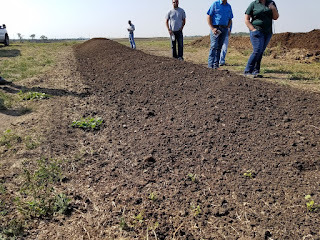 And fall is a good time to apply manure to fruit and vegetable fields since it basically guarantees compliance with the 120 and 90-day food safety rules! The first step in making an accurate manure application is to take soil samples to determine your nutrient needs. To do this, collect multiple 6-inch-deep samples from various places in the field using a soil probe. Combine samples and send them to a testing laboratory. 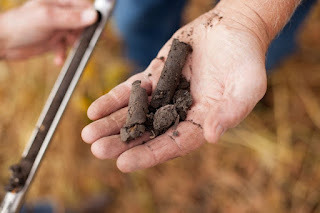 Make sure you understand how to interpret your soil test report. representative sample of your soil fertility. The next step is to sample the manure to determine how much of each nutrient is present. If you don’t know what nutrients you have, you’ll have no idea how much to apply to meet crop needs. Sampling manure is much like sampling soil: take multiple samples, mix them together, and send them to a testing laboratory. UMN Extension has more information on sampling manure and understanding the results report. Once you know the soil and manure nutrient contents, you have all the information needed to calculate application rate! At this point, you’ll need to choose whether to apply based on nitrogen or phosphorus needs. With many manure types, applying at a nitrogen-based rate over-applies phosphorus which may lead to pollution of waterways. Some choose to apply based on nitrogen the first year, then refrain from applying manure in following years until the phosphorus has been used by the crops. Others choose to apply based on phosphorus needs, then supplement nitrogen needs with commercial fertilizer. Use the UMN manure application rates guide along with the recommended nutrient rates on pages 16-25 of the Nutrient Management for Commercial Fruit & Vegetable Crops in Minnesota publication to calculate your desired application rate. Decreased transportation cost. Raw manure is bulky – it usually consists of less than 10% total nutrient by weight, and all that extra “stuff” increases transportation cost. Composting manure can reduce overall volume by 50-60% while maintaining most nutrients (some nitrogen will be lost as a gas). Reduced pathogen content. Heat generated within a compost pile will kill most pathogens which is a huge benefit when producing crops for human consumption. Fewer weed seeds. Raw manure often contains weed seeds that take root when the manure is applied to soil, causing weed flushes. Similar to the case of pathogens, the internal heat during composting reduces weed seed viability. While nitrogen is one of the most important nutrients for crop production, it is also the most likely to be lost to the environment. Nitrogen is mainly lost through processes called leaching and volatilization. Leaching occurs when the manure nitrogen is converted to a very soluble form (nitrate) and is lost down through the soil with water. This conversion happens most quickly in warm, moist soils. 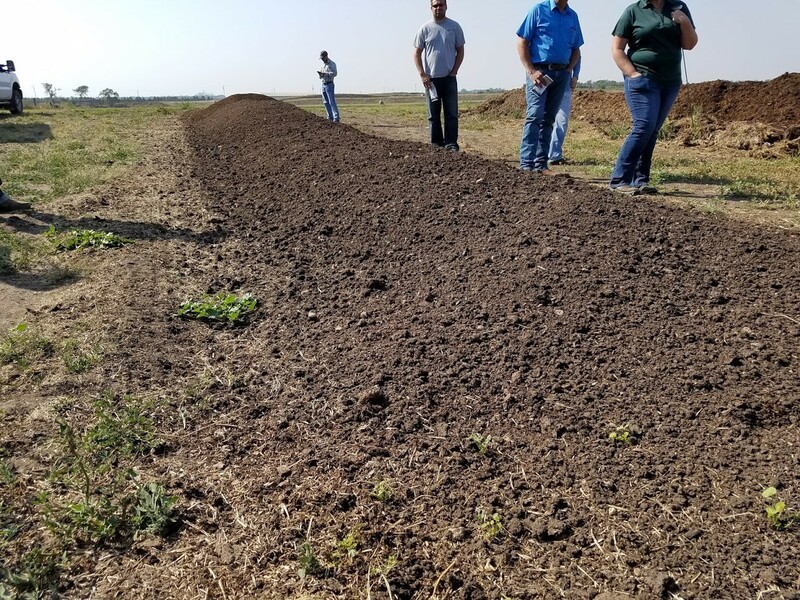 So in order to slow that conversion and keep your nitrogen in place, manure applications should ideally happen in well-drained soils when the soil temperature is below 50⁰F. When applying manure in the fall, that means waiting until October or later depending on the environment. The cooler the soil when you apply, the less nitrogen will be converted to nitrate and lost – but don’t wait until the ground freezes, or it’ll runoff! Volatilization happens when nitrogen is converted to a gas (ammonia) and lost to the atmosphere. This happens very quickly after application – in four days you’ll have lost about half of your nitrogen. The best way to keep your nitrogen from volatilization is to incorporate it into the soil as soon as possible (within 12 hours is best). Any amount of soil cover on the manure will greatly help keep the nitrogen in your soil. Manure contains two types of nitrogen: readily-available (inorganic N) and slow-release (organic N). While the readily-available type gets used in the first growing season, some of the slow-release type will be available to the crop in the following two years. That means reduced nitrogen input costs in for years two and three after application! Depending on manure type and how much nitrogen was lost to leaching and volatilization, you can expect about 25% of total nitrogen to be available in year two, and 10% in year three. More detailed information on nitrogen availability across years can be found here. For more information on manure management and application, visit the UMN Extension Manure Website!